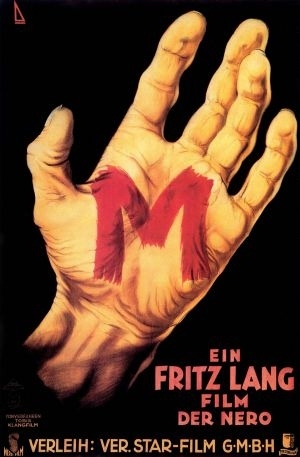 M – “A City looks for a Murderer” is a marvelous work of cinematic genius, cementing Fritz Lang as the “master of darkness.” It was his first sound film and the screenplay was written by Lang and his wife. Throughout his life, he believed M to be his masterpiece. Before shooting the film, Lang announced its controversial subject matter in newspaper advertisement causing a heated uproar. He eventually made the film through Nero Studios, rather than UFA due to suspicions of Nazi involvement. In order to research the subject matter of M, Lang spent eight days in a mental institution and spoke with several convicted child killers -he eventually included criminals as extras on the set. The film tells the story of a German town plagued by child killer. The police and the citizens rapidly grow desperate as six young children disappear. They begin to accuse anyone who associates with children. The police decide to increase their presence in the city, forcing the crime bosses to go underground. Frustrated, they devise a plan to catch the child murderer so they can return to practicing their illicit businesses. One man spots the killer, played by the great Peter Lorre in his first major role, with a young girl -his next victim. 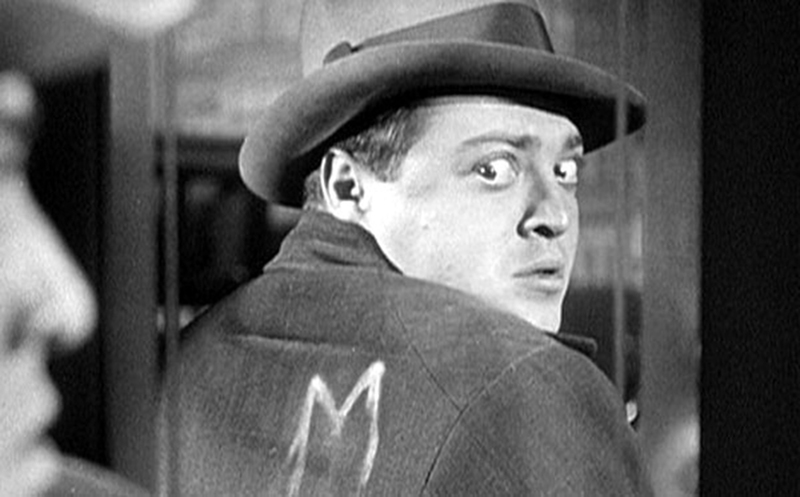 The man bumps into the killer and deliberately leaves a chalky imprint of the letter “M” on his jacket, for murderer.However, the audience is already well familiar with killer by his unusual, strange shadows cast, and ominous whistling of “In the Hall of the King” from Edvard Grieg’s Peer Gynt Suite no. 1 (actually whistled by Lang’s wife rather than Lorre who could not whistle). M is a masterpiece loaded with experimental sound, editing, and cinematic techniques. It also leaves the audience stunned and horrified, while displaying no graphic scenes of children being murdered. As in a greek tragedy, all of the horror occurs offstage and in the imaginations of its audiences. M is an excellent film that should be viewed by all great lovers of classic films.